In order to promote Apple Pay on the Web, the Cupertino company has shared a bunch of exclusive offers and discounts from partners this holiday season. Along with the release of iOS 10 and macOS Sierra, Apple Pay made its big debut on the Web as well. The payment system is well tied with Apple’s entire ecosystem and it’s as simple as putting your finger on Touch ID in order to authenticate a payment online. But a lot of people don’t see the convenience in using Apple Pay and they are good with traditional methods of payment – such as using a credit card, to be more precise. Interestingly, Apple aims to change that this holiday season as the company has shared exclusive discounts and offers to those using Apple Pay on the Web. 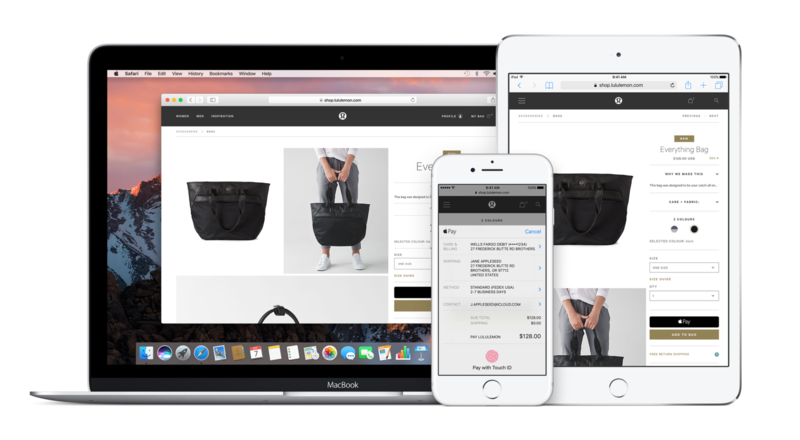 Experience the fast and secure way to shop online with Apple Pay, now on the web in Safari. Check out in seconds and receive exclusive benefits such as free rush shipping, discounts, and rewards. Adidas: Enjoy one- or two-day free shipping. Casper: Buy a mattress and receive a $50 iTunes gift card. GrubHub: Win a $50 gift card for you an a friend! New diners will also receive $10 off their next order. Instacart: First-time customers get one month of free Instacard delivery. JackThreads: Get 20% off great holiday looks. Jet: Get 10% off your first three orders and $5 JetCash to use on future purchases. Lululemon: Get a $25 gift card if you spend over $150. The New York Times: Gets 50% off on a one-year subscription. 1-800 Flowers: Enjoy free shipping. Overstock: Enjoy a free year of Club O Rewards Membership, a $19.99 value. Seamless: Win a $50 gift card for you and a friend! New diners will also receive $10 off their next order. Shopify: Explore unique gifts and deals from Shopify stores. Spring: Get 20% off perfect looks for holiday. Vactia: Get 7% off resort bookings and a chance to win a one-week stay in Hawaii. But wait, that’s not all. Apple has made it abundantly clear on its website that more discounts and offers are on their way from other partners such as Under Armor, Chase, The Washington Post etc. We will be updating our readers on more discounts and offers as they arrive. In the meantime, make sure you check out the above offers.